I was looking for a Christian publisher that was willing to take a chance on me, as this was my first book. My favorite part was the book trailer. It was so cool to see how it was brought to life, and it put a big smile on my face. My publication specialist was amazing. She was always super nice and informative. She always answered my question, even when I’d ask the same question in just a little different way. She was just professional the whole time, and I hope to stay in contact with her. I did not have many qualities when looking and had not even really consider the type of publishing you do until I looked up for information. I wanted them to have the same values as I did and CFP does! My favorite part of the process had to be page design. It made it start looking like a really book, which was a great feeling. I also loved how the designers seemed to know exactly what I wanted when it came to the design and cover. I think they read my mind actually. Communication was great. Erica was always prompt and would let me know when she did not have the answer or there was an error in our communication. She was very patient with all my questions and very informative. She explained more in depth when I did not understand something. I believe CFP exceeded my expectations even though I felt like there were a few misunderstanding about what all steps CFP took after the actual book was published. Some of the thing in the agreement were misleading, especially about the part of sending copies of books out to media outlets, etc. "What I Want To Be"
I wanted a Christian publishing company since I was new to this genre. I was looking for professional help to make this book the very best it could be. CFP was very kind and helpful during the process. My favorite part of the process was working on the design. My Publication Specialist, Erin, was wonderful. She always took time to listen to what I had to say and quickly got the answers to all my questions. I think CFP did a great job, and I have already recommended to others. They are very helpful and are really interested in making your book the very best it can be! "The Path: Ten Simple Steps to a Guaranteed Life of Happiness"
I was looking for a publisher that shared my core values. CFP did an amazing job, walking me through the process as a first-time publisher. One of the most exciting parts of the process was when I received and read through my final edit of the script. The editors did such a tremendous job of taking my manuscript and fine-tuning it for publication. My Publication Specialist exceeded my expectations. She was prompt in getting back to me, and was always more than willing to assist me in anything that I needed. I would definitely recommend CFP to other authors. The process was completed in a tremendously professional, timely manner. The qualities that were most important to me while working with Christian Faith Publishing company, was communication. Joseph represented the ability to connect and effectively communicate with the publicist. Never once was I put on hold or treated less important. Each phase during the process was my favorite. However, the exterior design raised my curiosity over the other phases. I was so excited and amazed with the finished product. The communications between me and the Publication Specialist was excellent. Throughout the process, Joseph was great. His gracious personality added a human touch that was not robotic. He listened, and all concerns were treated as important. I have high regards for Christian Faith Publishing and would not hesitate to recommend it to other authors. Firstly, seeking the most promising genre for a children's book of a religious flavor..Christian Faith Publishing was found to be the best choice. All facets of the process with the Publication Specialist were equally professional and desirable, mainly because of the personal nature and report with the needs of the author. Shannon R. was most accommodating to challenges posed by the author, at all times. Yes, I would recommend others authors to seek out CFP for their work. I wanted a publisher that could feel what l wrote as God has directed it. CFP was so much of a help that l put total trust in them doing whatever it took to get my book published. My favorite stage had to be: the entire process from beginning to end. I was excited more each time a new process came to be to be completed. I am just so pleased. The Publication Specialist listened to all of my input, while also giving their advice. CFP did everything that they said they would do. I would and have told all my family and friends about CFP. This, to me, is the best stress free agreement that l have entered into. They took care of everything. Your publication was a gift! I had no idea that Christian Faith Publishing was around until I saw it's advertisement on T.V.! This became my calling to release "Rebirth." My call was received by Marie who I connected with immediately. She encouraged me to increase my story to finally to be even better. Secondly, another wonderful woman was my Publication Specialist, Shannon. A wonderful human being who guided me through editing and helped me to release this spiritual story. Bless the person who designed the cover! The cover represented the Holy Spirit! Shannon was the greatest! I would recommend CFP to all authors with a great story! "Almost Died of Leukemia: A True Story of Gods Healing Power"
CFP did a wonderful job on the contract and spelling out all the details. My publication specialist was wonderful. Nicole listened to me with great respect and was very helpful. She exceeded my expectations. I absolutely recommend her to other authors because she is professional and has great customer service skills. I wanted to be involved as much a possible with the process and CFP fulfilled every desire I had. It's hard to say what my favorite part of the process was, but if I had to chose one, it would be the cover design. I love how they took concept from the story, The Rose, and put it in visual form. To me it was the memorial to my little girl that I could never give her. My Publication Specialist was wonderful and kept me updated on every aspect of the process, every time we spoke, directly or my email, she was encouraging, and thoughtful. CFP far exceed my expectations and I would, without hesitation, recommend them to anyone interested in publishing their manuscript. CFP fulfilled my dream of what the publishing experience was all about and the final product was quality. "Jesus, Ever Present and Soon Coming"
I was looking for security that the publisher would help organize the book and help the author to prepare it for publishing with all of the tools of the professional publisher at their disposal. I had unfounded concerns at the possibility of fraud but was secure due to the Christian Faith Publishing firm was exactly a Christian organization. I found that these people are totally a professional and caring people who would be with me from the beginning to the end with a marvelous finished product. I am extremely pleased with the experience and the final product of this book. Thank you all, especially to Brian G. and Linda M. Brian G. assisted me with every detailed step leading to the final publishing of my book. He was very attentive to my concerns and desires for the book at every point of the process leading to the publishing of this beautiful work. "The Shadow of the Cross"
Editing and cover design. CFP delivered on all aspects.Erin Smith was very helpful throughout the process. I thought enjoyed the process and would recommend CFP to other authors. Well I must say as a first time writer I wasn’t sure what to look for in a publisher, but I needed to find someone that would be totally honest and understanding--someone who I would be able to trust completely with my work. That’s exactly what I found at CFP. They were easy to work with, they walked with me through the entire process while answering every single question that I had. They let me know what to expect, and making this journey was extremely exciting. My favorite part was the cover. I was blown away when I saw the work that they did. My Publication Specialist was amazing. I would not hesitate to recommend any author to CFP, especially a first time writer. I wanted someone who would provide editing comments without losing the tone that I had when I originally wrote the book. I think CFP did well in this regard. If anything, they minimized the recommended changes and could have done more, but I was satisfied with the result. Editing was a favorite part as I was anxious to have the book read better. It was great to have several passes at the writing, so that errors could be corrected and improvements made. Another favorite part was the layout and where the art in the chapter headings appeared. I was not expecting this and was very pleased and surprised when this showed up. The communication between Shannon and I was excellent in my opinion. She did provide guidance and suggestions in a timely manner. I think CFP provided great support and certainly met all my expectations. I would recommend CFP to other authors. I believe that they will do whatever it takes to make your book something that you will be proud of. I know that I am and, I am delighted to provide a copy to individuals who desire one. "13 Years With A Bullet"
Cassandra, my Publication Specialist, listened to me. She made some suggestions for the changes i made in the book. She is a professional I want to say thank you to your whole team that worked on publishing my book. CFP did an excellent job. I would recommend Christian Faith publishing to all new Authors. When you see the finish product, you will be amazed. I am so grateful. God was helping me write the book. Christian Faith Publishing exceeded my hopes of the ideal publisher in many areas! The actual process progressed just how I was told it would. The timeline projection wasn't late on any step, and occasionally CFP would beat it considerably! Receiving the physical book, via mail, and actually seeing it online for sale world-wide was thrilling! It was nice to have a personal publicist assigned to me! Having access to the Author's Portal kept me in the loop throughout the entire process. I hope to continue to work with Christian Faith Publishing with future projects! "Raising a Difficult, Elderly Parent"
I had never written a book before so when the situation with my mom arose, I thought the best thing to do was to write a book to help folks steer clear of some of the problems we encountered. CFP seemed a natural choice as I knew they would be honest and helpful for a first time author writing about such a hard-to-deal with subject. I appreciated all the feedback CFP gave me in order to help make my book into a product I would be pleased with and that would hopefully help others when they read it. Oh my, Shannon was the best! She was always there to answer my questions, give me guidance, let me know what I needed to do, etc. In addition, she was friendly, and easy to "talk" to, but always handled her job in a very professional manner. I will miss being able to work with her, but whoever does in the future will be very blessed! Marketing the finished product was the most important part of the relationship. I thought Brian did a good job and was pleased with the process. I am very proud of the finished book. I was seeking more than just a publisher who would publish ANYTHING. CFP EXCEEDED with that! I love and appreciate their being selective and choosing only quality books! CFP was personal and professional, they also did a GREAT JOB in the layout of my book! My favorite part of the process was BEING SELECTED and not just being a "paid customer. : That was crucial to my selection! The communication between me and my Publication Specialist was beyond excellent! She was fantastic and really cared about the process! The most important qualities to me are constant communication and support as well as guidance through the process. I would say that CFP did deliver on those aspects. My favorite part of the process was the illustrations and trailer. The communication between me and the pub specialist was fine. Guidance was provided and the input was definitely helpful. I would recommend CFP to other authors because it maintains contact and support of the authors. "I Saw My Mother and Father in Heaven - Sammy's Story"
I was looking for professionalism and the ability to market the book. Cover design was a highlight. I did not like the first proffer, but I made suggestions and they came through with excellence. Shannon, my publication specialist, was fantastic. She was patient, understanding, and a delight to work with. I desire her services in subsequent work. The most important qualities that I was looking for was a publisher who was honest and upfront, no hidden costs or fees and owning the rights to my own work. I felt comfortable talking to my specialist and she promptly answered all my questions. My favorite part of my children’s book is the book trailer. It is cute and intriguing with the music selection. As a first time author, I had lots of questions. My specialist was fantastic. She always returned my phone calls or emails and answered all my questions no matter how insignificant. She was very helpful in explaining the process to me. I chose this publisher because the people I spoke with were knowledgeable, easy to talk with and not pushy. I also felt comfortable working with a publishing company that has Christian values and is located in the United States of America. I had been in contact with several different publishers. Going over all of the contracts with my lawyer, you were giving me the best deal for my money. I saw your advertisement on the Glenn Beck show. I have been very excited by the process of publishing a book, especially with cover design. They put it together just as I described it, and they got it right the first time. I love the book trailer that you did. It is awesome. But on the whole, I am very, very pleased with what has happened with my book. My first contact with you was with Linda. I then started working with Shannon. Both have conducted themselves in a very professional manner. Shannon has been very helpful in guiding me through the process of publishing my book, and has been very prompt in answering all the questions that I have had. I will have to see what marketing, distribution an advertisement does for my book, but as of right now, you have exceeded my expectations (dreams). I would recommend CFP to other authors. 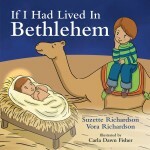 "If I Had Lived in Bethlehem"
I was looking for a publisher who was anxious to get going on my book. I needed lots of guidance since this was my first book. I absolutely loved working with Nicole. She was so helpful and gave me great advice along the way. I loved the whole process it was very easy--ALL OF IT. I recommend CFP to all my friends and family. Love the book trailer and the marketing advice. Nicole was the best part of the whole experience. She gave me great advice and encouragement. We talked in length on marketing. She was a wealth of information and always got right back to me and answered my questions. She is a great asset to your company. CFP met my expectations. I submitted my manuscript to other publishers and was so glad I went with CFP. I liked the fact that my Publication Specialist, Ginger, was so responsive. She provided great advice and made the process very easy for me. My favorite part of the entire process was the illustrations. They turned out far better than I imagined. My Publication Specialist was great! She provided honest advice and made things very clear for me. CFP more than met my expectations, and I have told several people how pleased I have been. "The Way The Truth and The Life--The Way"
As a Christian author, I sought out Christian oriented publishers. I have been very impressed and pleased with the professionalism. Erin, my (mentor) in this process was exceptional. She was thorough, patient, professional, and personal. This was my first effort, and all of my anxieties were put to rest by the personal nature of the process. Your system is excellent. I stumbled a little at the beginning, but once familiar, all went well. The process was outstanding. professional, personal, helpful, and encouraging. I would recommend, and have already done so. I wanted a publisher that would help bring out the best in my book. I wanted a place that wouldn't make me compromise my vision. CFP did exactly that. They made sure that I had input in every aspect of the process and exceeded my expectations in different areas like cover art. Every time I moved onto the next step it was like Christmas morning, but cover design and receiving my hard copy books had to be my ultimate favorite. There's nothing like holding your hard work in your hands and seeing that it's real! The communication with Adam was excellent. He was always very quick and informative with his responses. It took many emails for me to understand different parts of this process and he answered them all with efficiency and patience. I feel as though he went over and beyond for me especially when I felt like my vision wasn't coming through. I had some stumbles with the book trailer and he was able to get the changes made that were necessary to properly advertise the story. He was a pleasure to work with! CFP met all of my expectations and I loved working with them. They made getting through all of the steps easy and fun! I would definitely recommend CFP to other people and I already have! It was important that I could connect to someone who would communicate with me and always have my best interest at heart. I found CFP to deliver in that aspect, as well as so many other wonderful ways. CFP is a GOD send to me. Everyone has been supportive and so kind. My favorite part of the process was the illustrations. Bringing my words to life was so important to me because it is a children's book. I was so excited to see all of the vivid colors and wonderfully created characters come to life in my first book!I absolutely love Ginger T. She was very supportive, open-minded and courteous throughout the publication process. Her professionalism is exemplary. I would highly (and actually have already) recommend Christian Faith Publishing to other authors. I plan to make your company my lifelong publishers. This book was dear to my heart because God instructed me to write it as He came to my husband in a dream in 2012. It was important to me that the book was done according to His will. I prayed where to go and God shut other doors to another publishing company and showed me CFP and put in my spirit that this was who would publish my book. I believe God has a plan for this book as He asked me to write it therefore I am excited to see what comes from it. CFP was nothing more than PERFECT and 100 percent flexible with my request. My publication specialist was absolutely amazing and I believe divinely connected by God to work with me on this. I have never worked with such beautiful hearted people who do their job for our Lord and savior out of Love. I will NEVER go anywhere else to publish my books. CFP made a lifelong impression on me as the caring and sensitivity toward my needs were overwhelming. My book cover design is exactly how I envisioned it but even more so. It was breathtaking! Thank you CFP for the love of Christ you are all expressing and the love of Christ you are illustrating by getting Christian authors books out into the world that help shed light in the darkness. My specialist was beyond amazing. She was prompt and responding in lightning speed. She truly loves her job and as Shannon would say "we work as a team" and no matter how much I showed her appreciation, she always humbly said that it is a full team effort. God bless you Always. CFP delivered on all aspects of the process. My favorite part to be quite honest was EVERYTHING. It was a new experience for me. 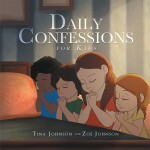 The book was about my late son, Max and his battle with Leukemia and his faith in GOD. Only a few words word can summarize my dealing with Erica, my publication specialist--Outstanding Professional and a Quality individual. When I started out in my process for a publisher, I was looking for a publisher that had a good reputation and that was upfront with their services and fees. I wanted a publisher that helped first time Christian authors as well. Christian Faith Publishing did meet my expectation and I am grateful for that. My favorite part of the entire process was when my manuscript was accepted. It took me about 6 years to complete and another publishing company rejected my manuscript. I was deflated and didn't think that it would ever become a reality. I feel that I had the best Publication specialist in the world. Ginger was very helpful and guided me throughout the entire process. She is very knowledgeable and I could tell that she loved what she was doing. CFP did meet my expectation and I have already recommended them to 2 authors. The reason that I did was because of the truthfulness of your employees and how everyone that I had the pleasure to speak with, either by phone or email, I knew that they were interested in my dream to come to pass, more than they were making a living for their families. A publisher that respected my input was a must, and CFP delivered this aspect perfectly to me. My favorite part was the book design, because it was what brought all of the hard work together, in a tangible way. The communication was great between me and my publication specialist. She guided me very well throughout the process. CFP went above and beyond my expectations, and I would highly recommend it to other authors because they are really all about sharing God's word. Though the editing and appearance of the book are very important, I also wanted a publisher that would be helpful in the marketing of the book. CFP has delivered in every step of the process. Overall, I am very pleased with the outcome. My favorite part would be the cover design and the book trailer. That’s when it hit me the most that the dream was a reality. Thank you for all the hard work in making this book possible. Great. I really enjoyed working with Erin. I have recommended CFP to other authors. Doing the publishing process by yourself, you're not going to get the same results. The marketing is a great help for those who work full time, are raising families, or don't have the time or ability to get out and promote themselves. Honesty and reliability. Cover design. As an artist myself it was great seeing my ideas implemented so well. Communication was phenomenal she responded usually within the day. Yes I would recommend to other authors. The support and quality of product was excellent. "A Recipe for Spiritual Living"
The qualities of CFP that were most important to me were that they were a christian publisher, the reviews I read about CFP, which were all very positive. CFP has delivered in all the ways that I had hoped for including ease of access, professionalism, competent personnel and a quality process of publication. All of the above were favorite parts of the process for me. Justine and Shannon were my contacts with CFP. They were both highly professional, knowledgeable, fun to work with and responsible. Communication was as good as I could have expected. I already referred two other people with books they anticipate or have written to Justine. CFP was very helpful in getting the book ready with timely editing and cover design. I really like the trailer that helped me get the new book info out to many folks via social media. My publications specialist was very good and guided me through the process quite professionally. I definitely would recommend CFP to other authors, as my publication cost was far less than other publishing companies charge. "How to Become a Dangerous Disciple"
I liked the whole process and your company’s standards for publishing. I was very happy with cover design and trailer. I’m going to publish another book and now that I’ve been through the process, it should be completely painless. My favorite part was working with my publication specialist, Nicole. She was awesome. Working with the publication specialist was my favorite part. She answered question immediately and made it easy for me to understand. You guys did a great job, and Yes, I have already referred others to you. I looked for a Christian publisher. I felt like the process was simple and explained easily. My favorite part was the cover design. And I must say I have had more compliments on the cover than I had imagined. The process was easy and when I had questions, Shannon would quickly respond with the answers. I am extremely pleased with the book. I have had my first signing, and everyone loves the book. Shannon did a great job answering all my questions and suggesting ideas. CFP met all of my expectations! They made this process very easy! I have already told people about CFP and how accommodating they are. I was looking for a publisher who supports Christian traditions and has an outlook on life that promotes Christian values. CFP does deliver on those aspects. The editing was my favorite part. Erica was a joy to work with as my publishing specialist. I look forward to doing it again next year. "Spiritual Experiences: Maybe or Maybe not"
All stages were important; I had no knowledge of the process and was intrigued with all aspects. My expectations were met, and they were very helpful. Yes, I would recommend to others. "God is always with us: Ten children's stories of hope, faith and trust"
CFP handled everything for me. Loved the whole process. Adam, my publication specialist, was the best. He answered all my questions and concerns. I looked for a publisher that was interested in Christian truths within my book. CFP delivered this without trying to change my content. My favorite part of the process was seeing the final products, book, and trailer, with all updates to get them both where I felt 100% satisfied. 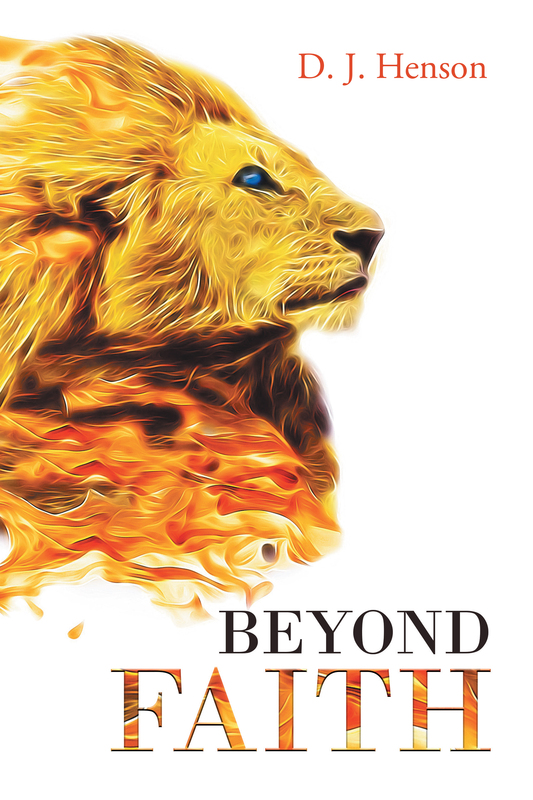 CFP met every request with flying colors and delivered a spectacular book for many to enjoy for years to come. My Publication Specialist was top of the line. She worked endlessly with me to get my book to where I was satisfied--not just what CFP thought it should be. CFP exceeded by expectations throughout the whole process of producing "The Operative", by James J. Hamrick. The entire process from start to finish has been a great experience, and I believe CFP definitely delivered on all aspects of my journey. They were very professional but also very personable. I felt free to ask any question. My favorite part was when I saw my cover for the first time. It was perfect for my particular book and it offered an open invitation to readers looking through books on the shelves in bookstores or online. I can't say enough about my Publication Specialist. She listened to each question I had and guided me faithfully as to what I needed to do. I would definitely recommend CFP to other authors. I am very proud to have their name on my book. I was pleased with the entire process, but particularly with the cover design. It was excellent. Communication was excellent, and I would recommend CFP to other authors. "The Venom of the Serpent"
This was my first time on writing a book. I found working with CFP was really enjoyable. They were very professional in every process. Thank you all for what you do! I would give your Publishing company a five star. My publication specialist was Paula. She was very kind and worked with me to make it a good experience. If I ever write another book, I would insist working with her again. Your company exceeded all expectations. "Being Broke Makes No Sense"
I was looking for a publisher who could help me with an idea I was passionate about and help it become a reality. Christian Faith Publishing exceeded my expectations! It’s really difficult to choose just one aspect of the process that was my favorite. The team at CFP worked diligently with me in order to make my vision come forth. Each aspect of the process was done with care and with understanding; my input was valued, and I was guided through every single step. My Publication Specialist was phenomenal. Her diligence is praise worthy. She listened, communicated, and executed my thoughts and ideas superbly. Without hesitation I have and I will continue to recommend CFP to other authors. If you are a seasoned writer or a new writer seeking to share something you're passionate about with others, look no further. You've found your home with Christian Faith Publishing. Looking for a publisher who would be easy to work with, and CFP met all my expectations. The communication was excellent and all my expectations were met. My experience with CFP was five stars out of five. I was drawn to CFP for being a Christian company and easily accessible. My favorite step was the Cover Design because the designer (or designers) were completely on the same page (no pun intended!). I am very pleased personally with CFP. Being a Christian based company was the most important quality that I was looking for in a publisher. Also having a close relationship with the publisher was important. CFP delivered all this, and I also enjoyed Marie and Alisha's kindness and understanding with me since this was my first book publishing experience. The cover design was probably my favorite part of the process. They hit the nail on the head and captured the very image that I was looking for. Awesome! Alisha always got back with me in a timely manner. I bugged her to no end, but she was always kind and encouraging to me. I hope I was to her also! She always listened to me and guided me the best she could through each situation. CFP really did a professional job with everything from start to finish, and I would recommend CFP to other authors. The price you pay for these services are worth every penny. When looking for a publisher I was interested in making sure I got assistance in all aspects of the process from editing to marketing. I received that from CFP at a very acceptable level. I was thrilled with the cover design, of course. I was also impressed by the always helpful support provided by my publication specialist, Nicole. Communication with my publication specialist was perfect. It made the process enjoyable as well as doable. CFP exceeded my expectations which I would be happy to tell other authors. To be brutally honest, I was looking for a publisher to show some interest in publishing my story! Christian Faith Publishing was the only publisher who suggested I send a manuscript to be reviewed, when all the others I contacted said to send the money. When my story was accepted, I was extremely pleased, and continued to be extremely pleased with every single aspect of the process. The editors and I had a brief issue on grammar, but I quickly deferred to their judgment as professionals. My publication specialist, Shannon V., treated me with not only the best possible professional service, but also with a personal, friendliness far beyond the call of duty. She is the best! Christian Faith Publishing exceeded both my expectations and my fondest hopes. This was my first published work, and though not the Great American Novel, but just a little story, I am extremely pleased with my association there. I most certainly would recommend CFP to anyone, and if I ever write anything else, CFP is my first and only choice. Editing and cover design were my priorities. They also turned out to be the most enjoyable for me as I learned what the process of editing was first hand and I learned the proper way to write in a formal manner. The designed turned out to be rather exciting as I didn't know exactly what to expect. However, with merely the simplest of descriptions the cover is precisely what I had in mind and reflected what I was trying to convey. Insofar as picking a publisher I was interested in a facility that could accomplish all the aspects of getting a book published in house. CFP did provide this service and with the convenience of an installment plan for payment CFP was kind of a no brainer. Paula exceeded my expectations throughout the process and kept me apprised of every step. Paula answered every email expeditiously and provided a speedy resolution. CFP exceeded all of my expectations and I fully intend to seek out CFP to publish my second book which is 99% complete. I have also already made two recommendations to other perspective authors to inquire with CFP. Helping us to get started was the main goal and objective when looking for a publisher. We also considered what our budget would allow and Christian Faith Publishing was a great option to both consult us, walk us through the steps to create an amazing product we were pleased with. Our favorite part of this entire process was the illustrations piece. We were amazed at the great designs the team came up with for our book and we were so thankful! Shannon was our Publication Specialist and she was amazing! She has the utmost professionalism and really kept us in the loop every step of the way. In addition, she always knew how to set the expectation for us and communicated things appropriately, so that we knew just what to expect during this process. She also went over and beyond to ensure that our submissions were moving along. "The Night VJ Got Saved"
I enjoyed the entire process because my publication specialist, Erin, was very polite, professional and knowledgeable. My publication specialist was Awesome! I would definitely recommend you to others! "Here I Am, God; Where Are You?" The close relationship of a Publication Specialist -- namely Shannon -- gave the needed confidence to move forward in an efficient manner. Seeing the finished product, book trailers, was rewarding and anticipation of knowing it would be available for sale early in 2017 was satisfying. Shannon, my Publication Specialist, was available in a timely manner to answer all questions and oversee necessary changes and corrections. She was able to encourage confidence in work I was doing with no previous experience. I would gladly recommend CFP to other authors who might be considering self-publishing. "Bought with a Price: A Personal Journey"
I wanted someone I could trust. I found it in CFP. I enjoyed all aspects of the process and looked forward to completing each one. Adam was awesome with every detail and extremely helpful. Before I even finished my book I went on the Web and the first publisher I saw was CFP. I sent for your free publishing kit and received a follow up phone call from one of your representatives. I knew in my heart I didn't have to search any farther for a publisher. It was the best decision I could have made. I can understand why CFP deserve being a five star company. The cover design for my book is awesome, highlights on the hills and sky made it came alive. My Publication Specialist Shannon, was very professional guiding me through each step of the process, always courteous and patient wanting to make sure I was satisfied. CFP exceeded my overall expectations and I certainly would recommend CFP to any author because of the way they handle their clients showing them they are doing everything possible to make their book a success. "The Divine Power of God: How God Mended My Broken Heart"
I was in search of a publisher who would match in quality and quantity of service. CFP not only provided me with professionalism but produced a state of the art work! They considered and allowed my input step by step. I am so grateful to the CFP teamwork that made this publishing process smooth. CFP is reasonable and affordable; more than its competitors so keep up the good work. My publication assistant, Adam, was the best! He answered my questions and worries! He was patient and his professionalism was astounding! I hope I get to work with him during the process of my next book! Kudos Adam! Thanks for everything. Peace be unto you for a job well done. Thanks again. When I started searching for a publisher who is trustworthy, had integrity, a professional atmosphere, and had the authors best interest in mind I knew I had that with Christian Faith Publishing. Every step of the project was handled with the utmost professionalism, respect and recommendations to better help the author achieve the highest quality of their final product. I have to say I enjoyed every aspect of the project especially the cover design because I saw the creative side of CFP. Every person involved delivered beyond my expectations and made the process on my end very easy. A Big Thank You goes out to Nicole for being there every step of the way. She was kind, encouraging, patient, professional, and informative. I would recommend CFP to anyone who is serious about being published, in fact I have gotten curiosity questions about CFP. This was my first book, so I was looking to be guided through the process. Step by step I was informed of what was happening and how long it would take. The most exciting part was seeing the cover design. The artists captured the whole essence of the book as they did with the trailer as well. Ginger is not only a Publication Specialist, but a true professional. I would definitely recommend CFP, especially to first time authors. Many publishing companies are just looking for clients, and not really interested in the story and if it has potential to sell. The amazing thing is God sent me to Christian Faith Publishing. I truly believed this is a story people need to hear. They too agreed it is a story that people will want to read and can benefit from. I really appreciate the exceptional communication throughout the publishing process. Publishing a book can be a daunting task, but my experience with publication specialist has been phenomenal! I will definitely publish my next book with Christian Faith Publishing. "Two Minus One; Our Abortion Story"
I was excited at every new experience. CFP was supporting, patient, experienced and has some great ideas and suggestions. I would work with CFP again in a heartbeat. The cover design was perfect, and the book trailer was really meaningful. Setting up the radio interview was awesome and went great! With your help, I published a book! Adam couldn't have been more wonderful! No matter what I wanted, he made it happen. I had questions and he answered them quickly and completely every time. He was excited and encouraging at every level. This was a first book for me, and I needed a little hand-holding, and Adam was right there! The fact that this is a Christian publisher is what allowed me to he comfortable to begin this process. I really enjoyed the trailer. This made it come "alive" for me. Thank you for all your efforts. Yes it did meet my expectations, and yes, I would recommend CFP to other authors. My primary goal for this project was to find a publisher familiar with Christian values, not only in dealing with the unique nature of this particular work, but also in how this book would be put together and distributed. 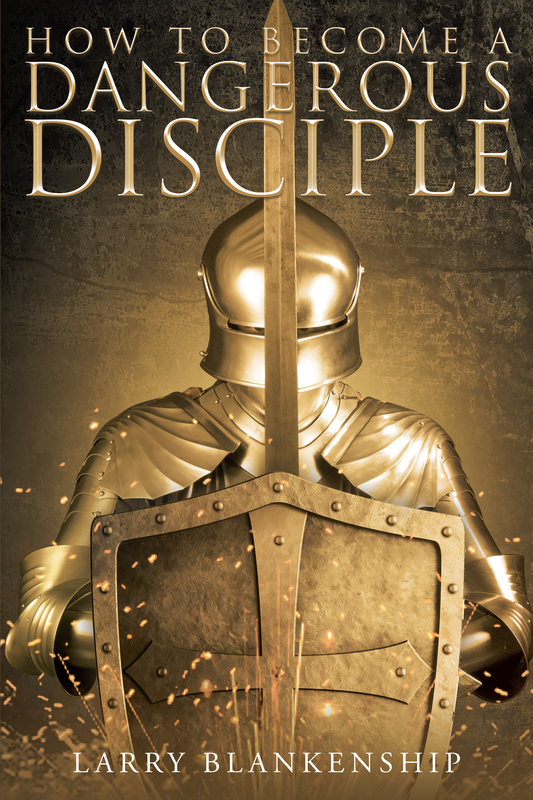 The team at Christian Faith Publishing has excelled in their handling of this material, and has contributed much to make it the great book that it is. I worked hard with the editing staff, especially with the Greek and Hebrew, and they were able to get it just right. The artwork and page layout blew me away, and the cover design and fonts were even better than those I suggested. The YouTube trailer was all their idea, and I absolutely love it. Christian Faith Publishing has exceeded all my hopes and dreams. Thank you! I definitely wanted a Christian Publisher. Someone I could easily communicate with. CFP was very good, especially with editing, because I wanted to learn how I could better write my next book. All communication was adequately delivered and understood. My publication specialist listened and her guidance was always helpful. CFP exceeded my expectations, and I would recommend CFP to another author. It is always good to stay with the best. "True Story - I Found Big Foot"
When looking for a publisher, I wanted a trustworthy company that had solid Christian beliefs. Christian Faith Publishing has been that and much more. My favorite part of the process was designing the cover. CFP took my idea and made it even better. I am very grateful for the opportunity to work with this company.The communication with my publication specialist was very easy and she listened to all my ideas and we made it through the publication process seamlessly. I am very happy with the finished product and would definitely recommend CFP to other authors. "The Mystery Of Your Relationship With Christ"
Initially, I had no idea where I would send my manuscript to for publishing, but I believed I would eventually receive divine direction. Now that the publishing process has been completed, I believe I truly received divine direction by sending my manuscript to CFP, because the entire publishing process of my book has been a very pleasant experience for me. Brian was extremely cooperative and helpful. I will send my other manuscripts to CFP for publishing. I will recommend CFP to my family members and friends. I was happy that CFP had a high rating on BBB. I appreciated the attention and courtesy of all who worked with me. I especially liked the book trailer. I appreciated all the help Adam provided me. He was prompt and responded succinctly. "All Of This In Just Six Days"
I was simply looking for a way to publish my book. My experience with Christian Faith Publishing exceeded expectations. My favorite part of the process was of course the day my book went to print. I LOVE the cover design!!! Overall, I am very pleased with the outcome of my book and the services provided. Ginger was awesome! She was friendly, informative and professional! I have 3 more books that I will be submitting for publication with Christian Faith Publishing! JOB WELL DONE! Thank You! I was looking to keep 100% of my rights and not spend too much money on publishing. I also wanted a professional look on my book cover and photos. CF publishing delivered in every area of my goals in publishing my book. Greatly appreciate their work. Shannon is my publication specialist and she was awesome! Very patient with me and understood what I was looking for in my book. I am soon publishing my second book and look forward to working with Shannon! Using a Christian publisher was very important to me. What they promised to offer, they delivered to me. The cover design and editing aspects were Super. Shannon is excellent in her field. Throughout the process, she was a friend and a good counselor. With such a Specialist, I will warmly recommend CFP to anybody. The cover more than “satisfied,” it personified what I was attempting to say. The editing was great, and easy. My contact person, Shannon, was marvelous! She listened, then helped me get more than I’d thought out of the process The illustrations inside were unexpected, but wonderful. They captured the essence of the book. CFP delivered I’d hoped for, and more. Each step of the way was made smoother with her guidance. YES, I would be glad to recommend CFP. The funny thing is I really wasn’t looking for a publisher when I decided to publish my work. I saw a commercial on TV, and made contact regarding a work I had written 3 years ago, but never did anything with it. I was skeptical at first, even looking for reasons not to go forward. From my first contact, they were extremely professionally yet personal. My agent listened to my questions and concerns and provided transparent, clear answers. It took a while for me to decide, and during this time there was no pressure or badgering to publish, but only support and patience. Once I decided to publish, I was treated like their best author. Questions were answered promptly and I was updated on our progress regularly. It’s hard to distinguish my favorite part of the process because you guys make every part fun and exciting. The communication part of this adventure was excellent. My questions were answered clearly, and my emails were answered extremely timely. Not only did my agent listen to me, but offered advice that made sense when I was unsure on how to proceed in several areas. The advice was always given with my best interest, not the publisher. I don't know what could be done to make the experience any better. I enjoyed the process and am extremely happy with the end result. The qualities most important to me are honesty, integrity and Christian values. CFP has all of these. This was a new experience for me, and I appreciated the patience and consideration of the staff. My favorite part of the process was editing. I enjoy doing that, and my input counted. I thought CFP was excellent in all phases of the publishing of the book. The beautiful cover of the book is outstanding. The communication between the Publication Specialist (Erin) and myself was great. She listened to all my input and made any changes I suggested. She was very helpful. CFP did exceed my expectations and I have recommended them to others. I like to share good things with others. "This Was In God's Plan"
I was looking for a publisher who would treat my poems with respect, and create a little book so that I would have something to pass on to my children and grandchildren. CFP was the second publisher I contacted. The first one had a negative attitude, and was somewhat impatient with me. As this was my first time doing anything like this, it was important that the company be friendly to deal with. My wife and I have only the highest marks for Brian, who made this process as easy as possible for people who didn't have a clue as to what they were doing. We communicated solely through emails. Every time we had a question or concern, Brian answered within 24 hours or less. He was patient with us, and it seemed that he tried to make this whole process as pleasant as possible. He certainly succeeded. We would definitely recommend CFP to any author. "Mia's Aim - To Stop Bullying"
Being a first time author, I needed a publisher who I trusted through every step of the process and I have been very pleased. From my first phone call to get information mailed to me until the publication and press release of my book, your company has been wonderful to work with. My favorite part had to be the book trailer because it made me realize that this was real, and that I was really a published author. Also, seeing my book for sale on Amazon and Barnes and Noble’s websites was so exciting for me and my family. They are super proud of me. Brian was great and always let me know when they needed something from me, or when something was ready for my approval. CFP has definitely exceeded my expectations and allowing me to finance has been the biggest blessing of all. I would definitely recommend CFP to other authors because they are the best! When I write, I include a lot of Christian testimony in my books. I knew that other publishers would cut those parts out. If I can’t tell others about what Jesus can do in our lives, then my story is reduced to just words- like sounding brass. Shannon was great! She helped me in so many ways. She was honest, and she answered my questions in a timely manner. She knows her job and does it well. I have submitted a second manuscript to CFP. To be honest, Christian Faith Publishing found me. I was thinking, how can I get my ideas published? Since I’m a Christian, it seemed fitting to use a Christian-based company. It’s important to have a company you can trust. I enjoyed the entire process. I was surprised to see how well the Design Team worked on putting my illustrations together. The communication was great! Marie and Brian were both helpful throughout the publishing process. My expectations were met. I will become a household name in regards to children's books. Christian Faith Publishing will be a part of that. When looking for a publisher, one of the most important qualities I was looking for was attention and promptness. As a first time author, I was unfamiliar with the process and needed a publisher that was willing to answer my questions in a timely manner and make me feel supported. I enjoyed the entire process, in particular, the cover design. It was at this stage in the process that the book seemed to come to life. Brian was excellent. He was very quick to respond to my calls and emails. Anything I requested he made sure happened. Brian was extremely pleasant and wonderful to work with. Overall, I would say CFP exceeded my expectations and I already have recommended CFP to other authors. In fact, I know of one author that is going to use CFP upon completion of their current manuscript simply because of the positive experience I had with my book. I believe God led me to this publisher. "The Mirror in the brook"
I wanted a Christian publisher for my book. I wanted professionals that knew what they were doing through the whole process. My favorite part of the process was cover design and the book trailer. I saw how CFP made my book come to life. I will be working on a future book with them again. Every team member did their part. I was thrilled with my book, and the cover and video brought tears to my eyes, it was so good. I was overwhelmed. I’m so very proud of my book because of all of you. Thank you so much! Ginger was so patient with me. She walked me through the process slowly because I had never published a book before. Ginger listened to every detail and delivered every time. Her professionalism was superb. She more than exceeded my expectations. She kept me updated by e-mail on a regular basis. I was so appreciative of her. Thanks again, Ginger! I would highly recommend CFP to anyone wishing to publish a book. They are truly the best. I wouldn't choose anyone else for my future book. When looking for a publisher I was looking for one that would accept my title, "Coping with Paget's Disease." My favorite part was editing , actually seeing my book in print was very rewarding. The communication between Nicole and I was fantastic. She always responded in a timely manner and was very patient and understanding.The final product met my expectations, and I would recommend CFP to other authors. "The Christian Handbook of Survival"
For me, I was looking for people who love the LORD and after research, I found Christian Faith Publishing was best for me. I had great and wonderful experience with Marie, and then Erica made the process easy to understand. The illustrations and book trailer, they really stood out to me. I got a lot of good comments about both of them. My specialist was very helpful. I would recommend CFP to others. I think a person would be pleased with the company. "Jesus Christ: His Management and Motivating Style : Leadership at its Best"
I Wanted full service and CFP delivered with quality. Editing was my favorite stage because it gave me a second chance on the text. Communication with Shannon was excellent! CFP exceeded my expectations in all phases and I would highly recommend them! I wanted a publisher who would be upfront with me and not present any surprises, especially as it relates to hidden costs. All costs were contained in a single price, which was even better. The entire process was awesome. The cover design gave my book life. I saw it then as a real book for real people. I admit that the trailer helped with a quick overview of the book. This, too, really stood out. I had no disappointments and was overjoyed with the end product. My specialist was extremely helpful and willing to assist in any regard in a very timely manner. I could not have had better support. I felt that I had someone standing with me and helping me through a process that was made easier because of what she did. "My Adventures in the Lord"
Cover design and book trailer rate right at the top for me. Really, all of the above ARE outstanding! Excellent, excellent, excellent! Shannon was above and beyond my hopes. I had excellent treatment throughout my adventure! "Half My Life: The Testimony of a Father and His Special Needs Child"
Because I was a brand new author (and still am), I needed my hand to be held, and direction to be given every step of the way. I would have tons of questions and still do. CFP delivered very well on those expectations. It started with a very positive first impression with my initial call from Linda. That was the point I knew that I wanted CFP as my publisher. Regarding the process, I don’t have an actual “favorite,” but I was very pleased with my regular communication with Erin, my point of contact (Publication Specialist). Erin was Awesome with a capital A. I had a lot of questions. Erin responded quickly and always with enough detail to my satisfaction. I communicate with her so much that I feel like I've known her for years. Now that my book has been released, I still have questions. I know Erin is busy with a bunch of other authors and responsibilities, but she still responds in a timely manner. I would give my experience with CFP a solid A. "It Ain't You, The Battle is in the Air"
Because this was my very first book, I was looking for someone that knew what they were doing because I didn’t. After much prayer the Lord spoke to me and gave me Christian Faith. I had never heard of them. I looked them up and made the call even though the book was not finished. After speaking with Customer Service, she directed the call to Mr. Chris C. I explained to him what I was doing and in return he introduced me to what Christian Faith Publishing had to offer. Mr. Coffey would call periodically to find out if I was ready. I had so many challenges with this book until he finally had to pray with me. After completing the book, he walked me through emailing it to him. 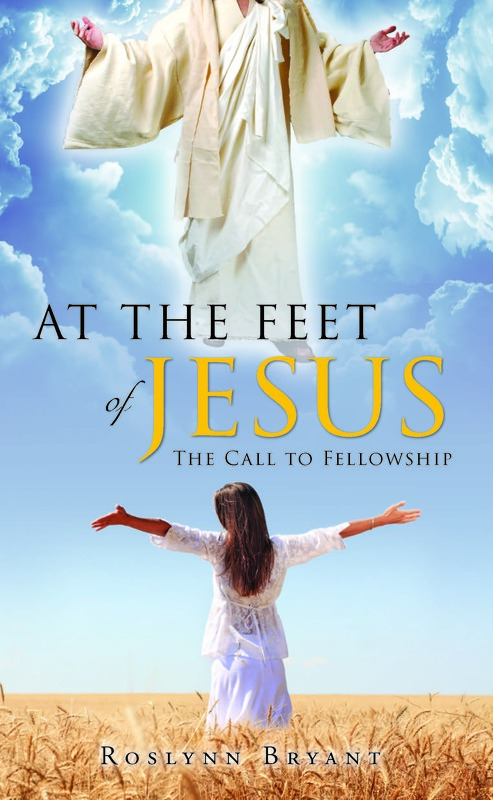 He instructed me on the steps before the book would be published by Christian Faith. He said it was accepted, and he was going to have someone call me to help me with the process. And, that person was Ginger. She was so understanding and so nice. I promise you, if she wouldn’t have taken over, there wouldn’t be a book. Ginger was a Godsent. Without her knowledge and the help of her teammates, I just don’t know. They worked with the theme, and it is awesome. Communication was really great. Even when I didn't understand, Ginger would help me to understand what was happening. CFP exceeded my expectations. Yes, I would recommend CFP to other authors. Just started my second book and prayerfully Ginger will be my Publication Specialist. My experience was very professional. I have had the best experience with Christian Faith Publishing. I will be publishing again, very soon. The experience was very professional. I am very happy and would recommend Christian Faith Publishing to other authors who would like to publish their book. Although knowing that this process could take longer, everything was done in the time that was promised, I will be publishing my new mystery with Christian Faith Publishing as soon as it's ready. I was looking for a publisher that valued faith, honesty, integrity, communication, and collaboration. Christian Faith Publishing exceeded all of my expectations! I’m very grateful to the staff at CFP for their dedication to excellence! The editing, cover design, and book trailer are amazing, and the entire publishing process was straightforward. Thanks to the CFP Team for the opportunity to share “Beyond Ikenick Creek” with readers around the world! Nicole is an awesome Publication Specialist! Her kindness and patience were very much appreciated by this new author! I would definitely recommend Christian Faith Publishing to other authors! I was looking to find a company that I could trust, one that assisted in the editing process completely. And one that I felt understands the goals of a Christian author. CFP delivered on these important factors and actually exceeded my expectations. I enjoyed it all! The editing/page design were definitely the most tedious, labor-intensive, and time-consuming, but necessary. It made the book that much better. You guys nailed the cover on the first try, and the video trailer got me teary-eyed the first time I saw it. It was excellent! Brian was excellent and did a great job answering all my questions throughout the publishing process. He's a valuable member of the team. Trust. I needed someone that would operate with integrity. I could trust CFP. They kept their promises without me ever having to ask for them to do so, and to me, that is priceless. When I saw that video trailer, my emotions flowed over like an overfilled glass. It was at that moment that I just knew it was real. But to hold my book in my hands was the most precious moment of all. This book is meant to save lives. CFP made that possible.Erica listened to my each and every concern and question. The process was simple to follow because the communication was great. I highly recommend CFP to any author who wants to see the fruits of his or her labors manifest into a tangible product. "A Call To Truth: My Search for the Truth and the One True God "
I was looking for a publisher who would let me express my views without attempting to change to content. CFP seemed to be fully supportive of my perspectives without judgement. For that I am thankful. Adam was patient and supportive since this is my first effort with hopefully many more to come. I actually enjoyed to entire process. It empowered me to be creative on many fronts which is a part of who i am. The finished product was professional and something to be extremely proud of. Adam M. was wonderful to work with. He responded to every question promptly; gave good advice and seemed knowledgeable about to process. Not only would I recommend CFP, I actually already have recommended you to another author. "The Seven Son & Seven Daughters"
"A Grain of Mustard Seed: Eight Stories of Faith"
First and foremost, I was looking for a publisher that focused on Christian based works and certainly CFP was the answer. I also needed a company that was interested in first-time authors, and it was CFP's advertising directed in exactly that line that caught my attention immediately. You made the entire process so very comfortable for someone who had never done this before and made it a bit less intimidating. I would have to say my favorite part of the process was the cover design. When I saw the final product I was amazed when I saw how the design department had captured exactly the concept I had suggested for the cover. My Publication Specialist was superb! Laura answered every question I had throughout the entire process and was always available whenever I needed her. She listened to everything I had to say and passed along every suggestion. I don't believe there was a single change I requested that was not taken care of and I give her the credit for having explained everything so well to the appropriate people involved to see that those changes were taken care of. She fully understood how "green" I was in this process and was very patient with me, offering the right advice when needed. CFP has more than met my expectations throughout the entire process and I have already begun recommending the company to others. I will also be returning to CFP for future book projects. My favorite part of the process was receiving all my questions that were answered with patience. I was able to call Ginger anytime I needed answers with my many questions. My communication with Ginger, my Publication Specialist, was always exceptional. The most important quality that I found with CFP is that they are faith based and publish only manuscripts with good moral values. That is very hard to find these days. I think my favorite part was the cover design. Even though I had something a bit different in mind CFP delivered an eye catching cover and everyone so far has loved it. The whole process was exciting but the day I got the news that my manuscript had been accepted I was overcome with tears because it was a dream come true for me. CFP was my first publisher contact and they took me on! The book is dedicated to my sister who is in heaven and I know she would be proud. "Miracles In My Life Reasons To Believe"
Christian Faith Publishing did what they said they would do in all aspects of my book process. Just a couple questions regarding copy registration. I am very proud of my book. My Senior Pastor said “God used you to write this book”; and I used you to publish it. Alisha was a great Publication Specialist. She listened to my request throughout the process. CFP exceeded my expectations very professional. I would recommend CFP to anyone because the past year has brought tears to my family and friends, now they know me. Thanks again. Professionalism and creating the best possible end-product were most important to me. CFP delivered on both. The cover design captured my intent better than I could have imagined! Sarena was outstanding in her prompt and personal communication, extremely helpful in answering all my questions. I would not hesitate to recommend CFP, especially to a novice being apprehensive or intimidated by such an important venture. I appreciated the whole process. Everyone did a great job. The editing though never fun, was thorough and near painless. The cover is absolutely beautiful, more than I ever imagined. The book trailer, is moving and captured the feeling, I so wanted to present. The CFP team made my book come alive! My dream became a reality and I am so pleased with the team's work on my behalf! The communication was great! The team absolutely listened. Everything I expressed, they did their best to bring it about. Even the cover, which was exactly what I had envisioned.I would and have recommended CFP to others. They did a great job and amazingly fast! Wonderful job! 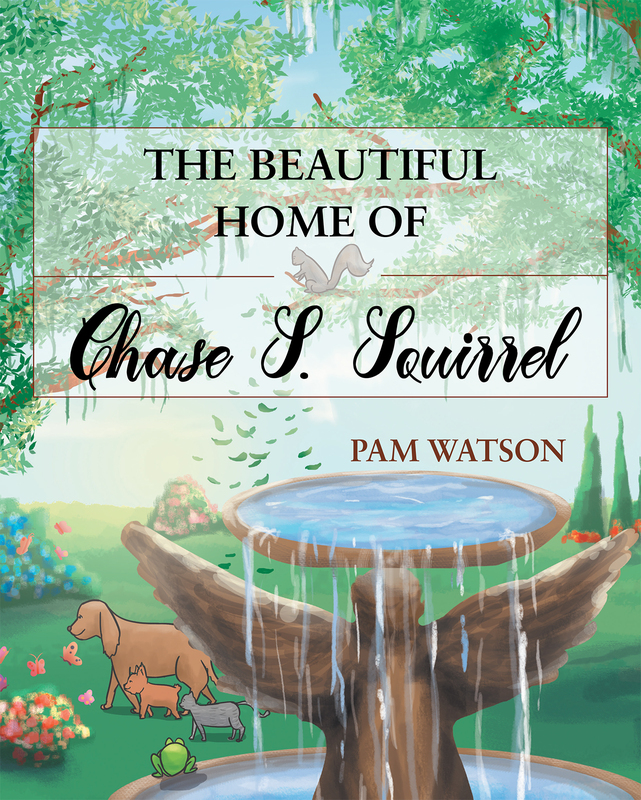 "The Beautiful Home Of Chase S. Squirrel"
I have just published my first book, "The Beautiful Home of Chase S. Squirrel" by Pam Watson, through Christian Faith Publishing Co. I am so grateful to have found this company. They have done a wonderful job. From start to finish they helped me every step of the way. The book is even more beautiful than I thought it could be. Thank you all from the bottom of my heart. I hope this is the first of many books they help me with. GOD bless you all. I had no idea how to go about publishing a book, and I was truly concerned about the cost. CFP was amazing! They walked me through every detail. Soon I wasn’t nervous about any part of publishing. Instead it became a very enjoyable experience. It’s hard to pick a favorite part. They took a sketch of what I had in mind for the cover and made it comes to life. And the book trailer was amazing! CFP exceeded my expectations. They made my dream to tell my story, with the hope to help others, come alive. My specialist was readily available and always helpful with every question or request I sent his way. I truly believe this is the best publishing company in many aspects. They made the process easy, affordable and did the midst amazing job. Those aren't qualities usually all found together. The cover design was my favorite part of the process, as I wanted the cover to be appealing so that people might like to read it. I was very happy with how it turned out, even though we had to re-do it a couple of times before I felt it was what I wanted. Cassy was very patient with me as I didn't approve of it for a while. Now I love it!Yes of course I would recommend CFP to other authors, in fact I have already done so with a friend of mine who was working with the wrong publisher and had her book frozen when the publisher ran into trouble and closed up shop. My communication with my Publication Specialist was fine, after we got used to each other. She worked with me through all the ups and downs of publishing and I credit her with keeping me going in times when I wanted to just quit and do something else. When I began to look for a publisher, I researched tremendously. I read so many bad reviews about other Christian publishing companies, but I did not find anything negative on Christian Faith Publishing. I wanted Christian publishing company who operated with integrity and communicated effectively and I found that with Christian Faith Publishing. The entire process was truly wonderful and I am extremely happy with my book. Communication was magnificent. Nicole kept me informed throughout the process and I truly appreciate that. I truly recommend CFP to other authors. CFP is definitely a great publishing company. I wanted someone that would keep in contact with me and explain everything to me. Yes, CFP did an excellent job for me! Actually, the entire process was pleasant and enjoyable for me because they were always there when I had a question. The communication was very good and was what I wanted. Yes, they went far beyond what I had been expecting. Yes, I would recommend you to anyone I come across that needs publishing. I am very pleased to have published my book with Christian Faith Publishing. I was included in every step of the publishing process and completely satisfied with their work. 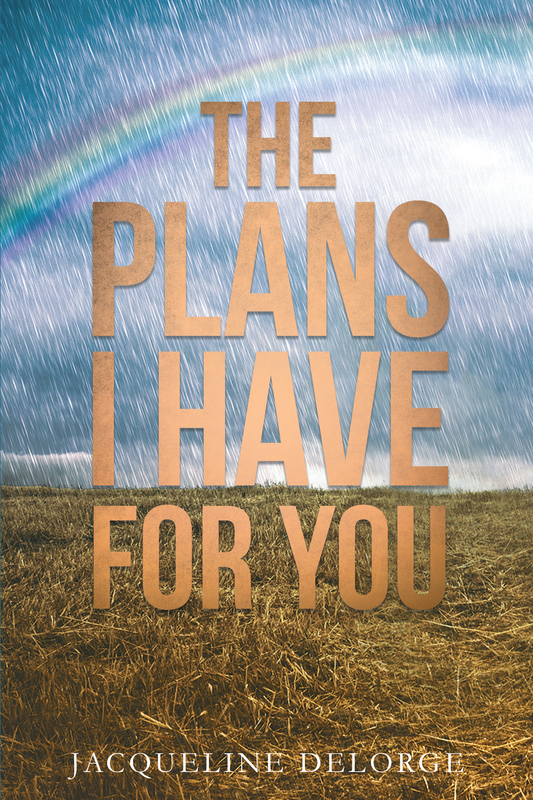 I am very excited about the future of my book “The Plans I Have For You”. They are an outstanding and professional company. I am so happy I found CFP. I am a first time author, and I really needed a publishing company that would explain and lead me through the publishing process. CFP made the process easy and I learned so much. My favorite part of the process was the illustration phase. It was so exciting to see my characters come to life. My publication specialist, Nicole, was awesome! She was there for me every step of the process with advice and ready for any question I had. CFP has exceeded my expectations in every way. The process was straight forward; I am more than happy with the final outcome. I would recommend CFP to anyone who is looking to publish a book. "In the Butterfly Kingdom There is Love"
I was looking for a Christian Publishing company that shared the same beliefs and values and that they kept my story intact without changing it. Also that the publishing company had editors and illustrators on staff. Yes, CFP delivered on all of these aspects. It is so hard choosing just one because each step of the process was exciting however, if i had to choose one it would be the illustrations. 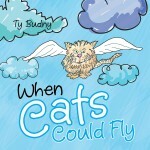 The illustrations are bright, colorful, and cheery for a young child to see while reading the book. As a first time author and not knowing what to expect,Shannon was helpful and informative throughout this whole process. Shannon answered every question that I had in a quick and timely fashion. I valued her insight and input throughout this whole process.I look forward to working with Shannon in the future for my additional books that I have written. CFP has exceeded my expectations from the very first phone call and all the way through this whole process. I would recommend CFP to other authors and have already given the information to potential authors who are interested in writing a book. Taking the steps to getting a book published can be overwhelming. Especially for someone telling the story of their child who is loved and dearly missed. CFP walked me seamlessly through the process and showed great encouragement, compassion and enthusiasm. I have nothing but kind words to say about my experience. Thank you so much to everyone involved especially Joe Hengle! God bless you all. When looking for a publisher, the qualities that were most important to me was that they were a Christian- based publisher, affordable, and that their staff genuinely cared about the author's success in the publishing process. My Publication Specialist, Shannon, was highly effective in communicating with me in every aspect of the publishing process! She always listened to all my concerns and issues and never made me feel that I was asking too much of her. She always made me feel that I was the most important person to her, and offered quick, helpful and courteous guidance throughout the entire process. She is a true gem!! Overall, CFP exceeded my expectations in delivering a quality book! I would, and have already, recommended CFP to other authors, because even though there were many challenges, we weathered through them, and I am very pleased with my finished book! Thank you so much CFP!! "Spiritual Vitamins: A Spiritual Energy Booster"
I am very grateful that God provided the opportunity for me to publish my book with Christian Faith Publishing. The staff is very kind and professional in handling the whole publication process. The publishing team also valued my input as we worked together to achieve the finished product. I appreciate their commitment to give the best possible service for my book and I look forward to working with them on future projects. I was looking for a publisher that would be fair, honest, and helpful. As a first time writer I didn’t know my way around. It was important to me to find someone I felt I could trust and who had my best interest in mind. CFP delivered. My favorite part of the process was the cover design. because that’s when I got a sense of my book coming to life. Communication between me and my publication specialist was excellent. I could not have asked for better. It was like I was working on this project with my sister rather than a publication specialist. Shannon is someone I trust and will highly recommend. Before working with CFP I did some research. Some of the other companies I came across were definitely not trustworthy. They were more like the wolf in sheep’s clothing. Working with CFP has been a great experience, and I am very grateful. All of the aspects were very important to me. Yes, CFP delivered. Nicole provided all of the support and attention to my every need. Yes! Yes! 100 percent Yes! I will recommend CFP to other authors! "Mary Magdalene: Grace is Greater than Sin"
My first consideration when choosing a publishing company was the viability of the company and how long the company provided the services. The second quality was the personal attention given during the production, promotion and sale of my book. Although CFP is a relatively new company, it was the attention given to me personally that sold me. My Publication Specialist, Shannon, was a consummate professional that kept the timelines fresh and progressive. The response to every concern was immediate and concise. As stated above, my publication specialist was knowledgeable and very accessible throughout the publication process. Shannon smoothed out my anxieties and inspired me to take a deep breath so that my first experience became empowering and not exhaustive. I came to trust and rely on her expertise. I would recommend CFP to other authors because of the transparency of the publishing contract and the attainment of stated timelines. "In the Cleft of the Rock: An Israeli-American Love Story"
What was most important to me, more than anything, I wanted our Lord’s will for my novel, and the publisher that He wanted me to use. After seeking Him in prayer, He led me to CFP. CFP has been wonderful to work with. The cover design was special because our Lord gave me the title and He led me to the place for the cover picture. CFP did a wonderful job in making it come out so beautifully. The book trailer was beautifully put together as it brought to life a summary of the novel about how our loving God will intervene in our lives when He is sought through prayer. Alisha was wonderful, extremely patient, and very kind. Although our relationship has been on a professional level, I have looked at her as being a friend who genuinely wanted the very best for my book. She was a gem to work with. She is a true asset to CFP. I would definitely recommend CFP to other authors. From the beginning of my experience with CFP till now, the people and production process has been a blessing, thorough and professional. "Blessings in the Faces of Grief"
This being my first time I was uncertain of what to expect. I provided a mental image of what comes to mind when I think of the book's content. The cover only had half of what I imagined and turned out perfect. I love that the designers stepped out of the cover norm box of what is often seen on grief books. The designer(s) provided a cover that captures the emotional and visual connections to readers. I love they selected a man instead of woman or child because men grieve just as much as anyone else. This choice enables the initial view to reach readers who acknowledge that grief touches everyone and blessings are able to be found through God's comforts and grace. 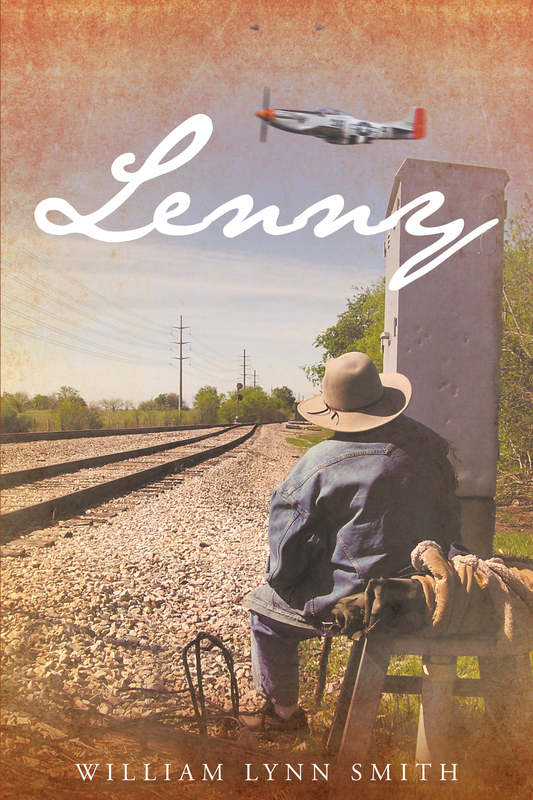 The cover provides a connection to readers before the book is picked up for review. It is very professional and impressive. My Publication Specialist was amazing. This was my first time to experience the publication process. I was very impressed with quick responses and continual expressions of kindness. I often felt that I was being a nag by contacting her frequently with questions and status updates. She was gracious to always let me know and even chuckle when I would told her that she is free to tell me to cool down my inquires. She has been wonderful throughout this learning experience. I highly respect her as a person and professional. It has been a blessing to work with her. I am a new author and have had two bad experiences with "self publishers" in the past. However, I must say that working with the folks at Christian Faith Publishing is a real breath of fresh air. It has restored my faith in a system that appears to be rife with misrepresentation. What they say is what they do, and it has resulted in a quality publication that I am proud to have my name associated with. "Walking With God: Inspirational Lessons from My Life's Journey"
I needed guidance in the process for getting my manuscript published. The step by step process is very organized and beneficial to a new writer. My favorite part of the process is the finished product. My book was published. It is a sense of achievement. My main goal of sharing these lessons with people will hopefully be accomplished. Shannon was wonderful. She was there for me when I had questions and provided assistance when necessary. She was very positive in her communications with me. I would encourage other potential authors to consider CFP as their book publisher. My publication specialist, Shannon, was very encouraging and attentive throughout the process. Her politeness and respectfulness exceeded my expectations! Yes, I would definitely recommend CFP to other up and coming authors if given the opportunity. As a first time author, I had a lot of anxiety when publishing my first book. Christian Faith Publishing and my publication specialist walked me through the process. They took control and made my book with my vision. Their services have been phenomenal and I await the day that I publish with them again. It's been an amazing experience and I am so grateful for the opportunity to have published with this company. "The Octagon of Spiritual Balances"
I was looking for a publishing company that had knowledge and understanding of scripture and CFP delivered on both aspects. My favorite part by far was communicating with Shannon, my Publication Specialist. She kept the excitement and thrill of publishing a book throughout the entire process. The communication between the Publication Specialist and myself was excellent. Shannon listened to every detail no matter how small or irrelevant it may have been and she guided me through every facet. CFP exceeded my overall expectations and I would recommend them to other authors. CFP from the beginning presents a wealth of knowledge and experience in publishing and being particular in what they publish places an even greater value on their company. However, the finish product speaks for them, the finish product is their letter of recommendation. If I had to pick one aspect that I felt was most important with this particular project, it would have to be the illustrations. CFP far exceeded my expectations in this area. It was as if they plucked the characters straight from my imagination and put them to life on paper. The illustrations were beautiful and that meant so much to me! My publication specialist, Adam, was a pleasure to work with and I can't say enough great things about him! This was a first time experience for me, and he was there every step of the way to answer my questions and keep me informed on all of the processes that were going on behind the scenes. In my opinion, he went above and beyond, exceeding my expectations. Overall, CFP did the same. I am so happy that I chose to do business with this particular company and I hope to publish more books with CFP in the future. Yes, I would recommend CFP to other authors because they are fair, honest, and very hard working. All of these things are imperative to a business partner. Thank you CFP! "The War Between The Seeds"
Considering now in our days where many are money driven, Christian Faith Publishing still maintains honesty, and good service: a very rare combination in modern world. They still maintain a relationship with authors, and always upfront in the way they conduct business, so the author is not caught by surprise in any way. I also like the fact that they take time to help in promoting the book, something almost every self published author knows that they have to do themselves. With CFP the author is not left doing all the work on his or her own: and on top of that they only take a very small fee, but not until the author gains the money they have invested in the project. Therefore the author is always confident that they are working with the publisher who believe in what they do, and that they believe that the book will succeed, for we all want to make money out of what we do. I believe CFP is indeed among, if not the best in business. "I Danced with the Devil"
I enjoyed the process from start to finish. From my point of view, it has been a learning and growth period in my life. I had no idea what it took to take a hand-written manuscript, especially mine, from a mass of jumbled thoughts and ideas into an awesome readable book. Everyone involved with the project were professional and patient. Every question and concern I had during the process was handled with patience and compassion. I enjoyed the freedom to be a part of the publishing, that gave me the confidence that Christian Faith Publishing was the right choice for my book. I have a second book in the process and look forward to submitting it to Christian Faith Publishing. I was very comfortable and had all confidence in the ability of Cassandra. She answered every question and concern I had in a compassionate professional manner. She was precise, confident and secure in her position as my Publication Specialist. She always returned my e-mails without delay. Most of the time she answered questions and concerns perhaps in anticipation of them. That in my opinion is professional as well as knowledgeable. And yes, I would recommend CFP to other potential authors, in fact I have already done so. Since my book was Christian in content, I wanted a Publisher that embodied ethical standards and editors that would have the ability to give sound, professional criticism and advice. I felt like I was exceptionally treated, especially since this was my first book. I really enjoyed all the parts of the publishing process. But I think putting the illustrations together with the print was my favorite part. Then when the cover design was done, I was so impressed with the quality of the illustration team! I was outstanding and met all my expectations! Ginger was wonderful to work with. She was always available when I had a question or needed some guidance. She was prompt and friendly at all times and completely professional. She came to my defense and helped out when there was a printing issue with the first run of my book, and it was handled to my complete satisfaction. I would absolutely recommend CFP to other authors. I feel your team is outstanding, accessible and easy to work with. "Messages from the Second Pew"
I stumbled onto CFP on the Internet, called them, and began a great relationship that has resulted in the publication of my first book. These are really good folks who use a funding model that is terrific for aspiring authors. The process is well documented and provides incentives to both parties to be successful. The final product was beautiful and the marketing tools they use are wonderful. I highly recommend talking to them. "Journey to the Bone Tree"
Christian Faith Publishing was an answer to prayer and had everything I desired in a publisher: integrity, experience, an easy-to-understand contract, knowledge of marketing and the publishing world as a whole. The professionalism of this company is exceptional and I highly recommend them. So much so that within a week I'm sending them the manuscript for my third novel! Shannon has become a friend and she was wonderful to work with. I have immensely enjoyed working with her and have asked that she be the publication specialist for my next novel. As far as recommending CFP - I already did and Dr. Bradley Stuart's book was recently published! It was very important to have a company to guide me through the process since I had never had a book published before. The process is overwhelming to a newcomer. I appreciated the professional and constant feedback and close contact with Scott P. Scott lead me through the stages of the publishing process. The communication was excellent. Scott was very diligent to contact me through each step. He was always readily available when I needed to contact him. His guidance was invaluable. He met and exceeded my expectations. I would certainly recommend Scott to other authors because of his professionalism and support. "Fear Not: For I Am With You"
My decision to go with Christian Faith Publishing, Inc. was a good one. They have been nothing but helpful and very accommodating. From the start they answered all my questions. Their staff, especially Nicole and Demi, have been amazing. I would recommend this company to anyone who is just starting out as an author, or may be an accomplished author. Their integrity and work ethic is amazing. I will not be using anyone else from now on. I was looking for a publisher that would not nickle and dime you to death to get your book published. After all my research, CFP had it all in one net package at a fair price. They understood my concerns and put me at ease as we worked through the process. They did an excellent job on my cover design and video. The Publication Specialist did a great job helping me all along the way. Listened to my thoughts and input until it met my expectations. It was a pleasure working with everyone at CFP. They couldn't have been more helpful. Shannon did an excellent job working with me. I would recommend Christian Faith Publishers to any author out there. WOW, the redesign on my initial book cover looks better than ever. My design suggestions were implemented but the actual design is better than I could have ever imagined. My designer was so easy to work with, thank you CFP. I am so excited that you chose to publish my book. "What's It All About, Momma?" I must admit that I never went looking for a publisher, once my book was finished I spoke to the Lord and told him, “Okay Lord I did my part, you inspired me to write it and I did, now you have to take it from here.” It was only a few days later that my friend handed me a small piece of paper with the phone number to CFP upon it, which she jotted down from a TV commercial, I believe. I called and spoke to a gentleman, named Scott, who asked if I was writing a book and I told him I just finished one. I submitted my work and was filled with such gratefulness to be able to even do that, with such ease but when I received another call from him and he said that he was going to present my book to the board at CFP I was ecstatic. My faith was totally in the Lord, he lead me to CFP and on the day I received the call that CFP wanted to partner up with me and publish my book my spirit was overwhelmed with the knowledge of the Love of God and his Blessings upon me. As my tears fell I couldn’t help but thank him for placing Christian Faith Publishing in my life. They are exactly the epitome of what I would have looked for in a publisher and and totally exceeded my expectations!!! Seeing the cover of my book was my favorite part. There was excellent communication between me and my publication specialist. She provided the same with guidance. CFP exceeded all my expectations and it would be my pleasure to recommend them to other authors. Qualities I looked for was someone that cared. Someone that was willing to hold my hand through the process. Cassy delivered above and beyond my expectations.My favorite part looking back now was the trailer. Because it brought my book to life. My publication specialist had the patience of Job, and the heart of Jesus! She exceeded every expectation I had. I would 100% recommend her and Christian Faith Publishing! To me, the quality I most appreciate is the sense that the publisher is a partner in the process, not just a participant. Too often, especially in the self-publishing business, the publisher is more of a disinterested party simply involved in the mechanical processes of getting ink on paper and sandwiched between covers. CFP not only delivered on each of its promises so far, but has excelled in promoting that sense of partnership. Throughout the process of getting my novel into print and to market, the teams at CFP made the process enjoyable by bending over backwards to make sure everything was just as I wanted. I’m looking forward to re-entering the process soon with a sequel. I generally do not have great difficulty in putting things into writing. That being said, I am finding it difficult to describe the relationship that I came to value so much with Adam. More than once, he went an extra mile to get things done for me and to make certain I was happy with the result. The experience with CFP has been very satisfying and I have had no problem recommending CFP to the published authors and the first timers that I am acquainted with in all the corners of my world. "Finding The Way; Proclaiming Jesus As Truth"
I was praying about the next step with my book when I saw a CFP advertisement. The communication with the company and the author was a very important issue and consideration. My choice was correct because I always felt informed with the actual process. My Publication Specialist was incredibly professional and effective at her job. I loved cover design because the artist nailed my description on the first illustration. To see your words brought to life in a picture was very rewarding. My finished book is breathtaking to me. There was a little struggle with my preference with the layout of the book but the CFP professionals continued working with me till I was content. My Publication Specialist was beyond wonderful. She was very professional and always looked for a solution to any issue. I never felt she was trying to discard any issue I brought to her. Yes, I have recommended CFP to authors already. "The Earth Trek: A Hypothesis of Earth's and Mankind's Destinies"
The important quality was effective communication. My favorite parts of publishing were editing and cover design. They are time consuming efforts, but your product begins to take shape and comes to life. The communication with the Publication Specialist was excellent! To every question or concern there was an immediate answer, or an elaborate explanation within one day. I was looking for a publisher that would follow through with what they said they would do. Christian Faith Publishing did just that. Cover design was my favorite part of the publication process. Communication was excellent. My publication specialist did all that I expected and more. Christian Faith exceeded my expectations. Editing was my favorite because it made me focus on the details and I found the results rewarding. I thought it was excellent. If I ever write another book, I would hope to have Ginger, my Publication Specialist, working with me. This was our first book, we did not know anyone that had published before. We searched the internet for a publisher and saw CFP. With the name of Christ and Faith, it had to be the place for our book. We have appreciated the help CFP gave us as you led us through the process. We are extremely pleased with the results. Our specialist was there in every step. The result exceeded our expectations. To see the words come to life in the beautiful illustrations, they did a fantastic job of creating our characters. We would highly recommend your company to others. "Secrets of a Minister's Wife"
When looking for a publisher the reputation of the publishing company was most important to me. Also, whether the publishing company was secular or faith based is important to me. Thirdly, how much the publisher or publishing company would charge to complete the whole process was essential to me. 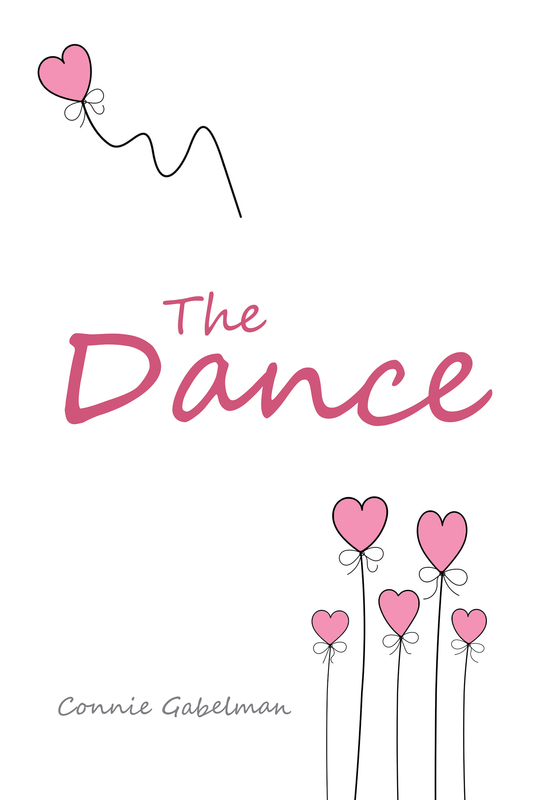 My favorite part of the process was the cover design, illustrations and the book trailer. The communication between my Publication and I was very professional, and respectful. Brian listened to my input and provided helpful guidance. CFP super exceeded my expectations. I have been recommending CFP to other upcoming authors. I recommend CFP because I had a very positive experience with CFP, and everything was delivered, just like my publication Specialist said that it would be delivered. Being a first time author, I wasn’t completely sure what all went into publishing a book. As I progressed, I learned a great deal about the publishing process, and I’m happy to say it was overall a very pleasant experience. Although I was challenged by each and every step, I can now say that my most favorite part of the process was the finished product! It was wonderful to see that my ideas were well received and that my Publication Specialist was open to my thoughts and ideas. The cover of my book was exactly as I had envisioned it would be! Communication went well with my Publication Specialist. She was always open to my thoughts and ideas, and she did a great job guiding me throughout the process. I have recommended CFP to the daughter of a friend of mine and I'm happy to say she is currently going through the publishing process with CFP! This was my first experience at getting book published. I did not really have an expectations, but was thankful for all the help that was given along the way.Working with Cassandra was outstanding. She was always there to explain things to me and answer any questions that I had. I certainly would recommend CFP to anyone seeking a publisher. The two main qualities I would have to say would be trust and guidance. With that being said Christian Faith Publishing was a blessing brought down from God. I can't say I have one specific favorite part of creating my books because I loved it all. Every time one process was finished, I couldn't wait for the rest. My publication specialist, Erin, thoughtfully answered ever question I had right on. I couldn't have had better guidance. For all you new authors, this is the most trustworthy company to work with. Christian faith publishing was the answer to all my prayers. "From Praise to Petition: Experiencing the Power and Passion of Prayer"
I wanted a publisher that understood the publishing business well, and I wanted a publisher that shared similar values with me, in terms of my faith. Also, a publisher that would be willing to gently guide the writer and be patient all through the process. Yes, CFP met those criteria. The publication specialist was wonderful in her assignment and was very friendly and cordial. The experience was wonderful. Will recommend CFP to other authors so they can experience the same results/benefits. "Coping: A Widowed Father's Story"
Working with CFP, especially Erica, was one of the most gratifying experiences of my rather many years! Everything was just perfect. 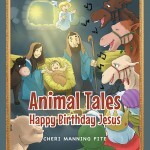 "Animal Tales: Happy Birthday Jesus"
When looking for a publisher it was very important to me to receive a fair and honest deal. It was also important to me that my ideas would be taken seriously. I feel CFP was a God send. After speaking with them on the phone, I had a sense of peace come over me, I knew by this wonderful peace CFP was right for me. CFP delivered on every aspect of their promise to me. My favorite part of the process was the book trailer. I wanted to use a song I had recorded and written to go along with my book. They let me use my song, which added so much to the trailer. Also, I appreciate the hard work the illustrators put into designing my characters. I felt if they could capture the expressions and actions of the characters, this would add so much to the story and they captured this perfectly. I also appreciate the fact CFP took care of all the publicity and the mailing out of the books purchased. This saved me a lot of time. Nicole, my Publication Specialist, was wonderful! Every time I wanted a correction made she made sure it was done. I would highly recommend CFP in the future and I have already given my recommendation to other authors. I wanted a group that would value a God-centered manuscript. I loved seeing the cover and book trailer for the first time. Both captured my personality and the character of my book so perfectly. Excellent! They met my expectations! It's a special thing to take a piece of your heart and mind and show it to the world. CFP handled that vulnerability and trust with respect and professionalism. When looking for a publisher the most important thing to me was their vision, not only for my book, but as a whole. The vision CFP had was what I was looking for and they far exceeded my expectations. The editing process was my favorite part of this process. It was important to me to have my work critiqued, corrections made as well as having suggestions giving. My publication specialist, Shannon, was great. She was kind, helpful and informative. I hope to work with her again. CFP by far exceeded all of my expectations and I would very much recommend them to other authors. The number one reason I would recommend CFP is just because you're paying for their services doesn't mean they will publish your work. This is very important. I was looking for a Christian Publisher with a great reputation and with people who responded quickly and who love to help. Brian, my Publication Specialist, is fantastic. I hope that in future publications Brian is my Specialist. His attention to detail, his prompt reply to emails and phone calls, and his sincere desire to assist are second to none. DO NOT LET HIM GET AWAY. The whole experience was 5 star. I would highly recommend CFP to anyone aspiring to have their work published. Everything was on time and I was constantly kept in the loop. Fantastic Experience. Thank you CFP, and thank you especially to Brian! This was my 1st experience with publishing a book. I wanted someone that would guide me through and CFP did that. I think my favorite part of the process was seeing the cover design--it finally made it seem real. I had prayed for God's direction in choosing a publisher and He led me to CFP. I would definitely recommend to other authors. Everyone was so kind and helpful. CFP was wonderful to work with. I've never been through this process before and I was guided through it one step at a time and everything was thoroughly explained. I liked the cover design the best. Nicole, my Publication Specialist, was wonderful to work with too. She was prompt with answering my questions and directed me every step of the way. This was my first attempt at writing a novel. I found the staff at Christian Faith Publishing to be very attentive and accommodating to my many questions, regarding the publishing process. I especially want to thank Brian for all his help in getting my book published. His guidance was greatly appreciated. I would certainly recommend Christian Faith Publishing to other authors, especially if this was their first experience in trying to publish their manuscript. CFP exceeded my expectations!!! I believe that the communication process flowed very well. Questions and concerns were always answered in a very timely manner. As I said above, I would highly recommend Christian Faith Publishing! When seeking a publisher, I was looking for answers to my questions, and help. Shannon did an excellent job. I considered all items important. The cover design and lettering were the best parts. Shannon, my publication specialist, listened and gave me advice This was a positive experience. I wasn’t looking for a publisher...the ad for Christian Faith Publishing appeared on the television screen just as I placed some work aside and looked up. I’d like to think it was a work of divine intervention. My favorite part of the process was communicating with CFP. The process was open and the communication between both parties was clear and precise. All of my questions were answered to my satisfaction and in a timely manner. I hope to be working with CFP again in the future. Working with Erica was wonderful. Every conversation was pleasant and all of my questions were answered to my satisfaction, something that was very important for a first time author. I would recommend anyone stepping into the world of publishing to contact CFP. It is a good educational process. The qualities which were most important to me, was finding a Christian publishing Company. I was pleased with every aspect of my finished book. My favorite part of the process was the cover design. The art department created the cover just as I wanted them too. My overall communication with my Publication Specialist was very professional. I was able to asked her questions in which she responded with answers. I would most certainly recommend her to other authors. I have had no experience with publishers before this. I saw an ad on TV for Christian Faith Publishing, and after contacting the,, decided everything looked okay. I found the editing helpful. I really liked the cover design that was developed by my description of what I wanted. All I was looking for and better. Shannon, my publication specialist, was great to work with--very helpful. I would recommend CFP to other aspiring authors. It is a very positive experience. I don't know yet if it is going to be financially positive, but I have gotten quite a bit of very encouraging feedback from readers. My mom wrote this book and died before it was published. Of course I was handed this project to complete. The staff at CFP was supportive and gave me a shoulder to cry on. This book was an emotional roller coaster ride for me. Many times I wanted to give up but they encouraged me to keep going. Without their expertise in every step of the process, I would have given up. I am happy with the end product. My Publication Specialist is awesome. I can ask her anything and she is there for me. Her guidance helped me to complete this project. Without her this book would have never happened. Her encouraging words pushed me along when I wanted to give up. She is still there for me if I need her or have a question about ordering books. "God, How Can You Use Me?" I was looking for a company that cares how I feel and takes the time to listen to me when I have something to say. Yes, CFP went above and beyond their call of duty. All of it was great because it was something new to me and I could put in my input. My feedback was never shot down. Everything I asked for was in the book. I loved my publication specialist, Erin. I want her to work with me on every one of my projects. She has been very great and patient. "A Princess with a Purpose"
I think the qualities most important to me in choosing a publisher are communication, and a publisher willing to work with the author. CFP provided a strong and friendly communication. They made me feel comfortable working with them. My favorite part of the process was the cover design. I liked the way CFP was able to put the picture in my mind on paper. I feel the communication between my Publication Specialist and myself was just fine. I had the experience of working with two Publication Specialists during this process and seeing different styles both productive in their rights and the transition between the two went great. CFP met all my expectations and I would gladly recommend them to other authors. "A Compass for a Technology-Driven World"
I was looking for a publisher that could make it happen! The cover design, illustrations and the book trailer were the most prevalent parts of the process. The focus on the end with the press release was exceptional. The publication specialist was most beneficial, providing direction and guidance regarding the publication process. I most definitely recommend CFP to other authors. In fact, I have already done so, and he has a book published by CFP. I was looking for a Christian publisher because of what I had written. I am so happy and blessed I found Christian Faith. The cover and book trailer were just beautiful! It showed exactly what I was trying to impart; God was my anchor, and he gave me the faith I needed. Everyone did a superb job, and I really am grateful to my liaison, Shannon, for all her wonderful support. CFP exceeded my expectations, and my specialist did listen to me. They gave me guidance, and I hope to work with them again on other things I have written. I HAVE recommended the company to all I've spoken to. I really enjoyed the whole process. I had a great publication specialist, Shannon. Who's prompt, considerate and knows the schedule of client's work. I couldn't have asked for a better, more attentive specialist as Shannon. She kept me up to date on each step of the processes of my novels. When I began to look for a publisher, I prayed and researched for honesty and someone with a vision. Christian Faith Publishing delivered above all expectations, even down to their logo. I would have to say my favorite part of the publication process was editing. I learned, from a few mistakes I made, how to be a more effective writer from the great editors. Many blessings to you guys. Communication was magnificent. It was what I needed and was looking for. They were down to earth with a set of great ears. Thanks again, Erin. Christian Faith Publishing exceeded expectation with honesty and patience. I recommend CFP to those who have a story to share with the world. I wanted a publisher that would not make too many changes and would allow me to get my point across, and Christian Faith Publishing met my hopes and expectations. I also was pleased that that they did so well in my cover design. Shannon was a fabulous help and gave me emotional support also when I needed it. I wanted a publisher who would bring my books to a finished product which I could be proud of. I also wanted a company who would go beyond just publishing my books, but also get involved in marketing my work in the proper and most successful way. I am pleased with every step. I was never misled or taken advantage of in any part of the process. Our communication was always excellent. The specialist enjoyed working with me, and I am very pleased with how she was always there to assist me. My expectations were exceeded, and the experience was great. I would recommend Christian Faith Publishing to anyone because I know that they would be very happy with the outcome. The most important qualities for me in the publishing process were understanding and patience. I wanted my book to get out without being a long drawn-out complicated affair. The fact that I had never done this before didn’t seem to faze the staff one bit. I found everyone I worked with to be very helpful, kind, and instructional. I learned a lot. It was important for me to get my book out as an evangelistic outreach, not just to Christians, but to the world in general, and CFP did just that. I enjoyed the editing process as it was new to me, and I learned what is involved in it (and re-writing!). From this I learned what it is to fine-tune the book and get it into sellable order. As my book had illustrations done by my artist father and myself, I especially enjoyed helping with cover design and placing our illustrations at strategic points throughout the book. I found the whole process to be enjoyable - and my thanks go to Joe, Erin, and the editing and art staff for their wonderful work. I am very pleased with how the book turned out and everyone who has seen it likes it. Several people said they liked the trailer. Overall, I was very pleased with everything - done very professionally and accurately - also there was great consideration toward my ideas and input during the publishing process. I am very thankful and grateful for everything! I would do it again! I worked with both Joe and Erin. Both were extremely helpful and patient with me while we sorted through things and exchanged ideas. I developed quite a good rapport with both of them. They were kind, patient, helpful, and understanding throughout the whole process. The editors and the art department were also wonderful. CFP certainly met all my expectations and exceeded in some areas. For these reasons, I would recommend CFP to other authors without a doubt. The most important quality in a publisher for me was one who specializes in good Christian books. CFP certainly fit the bill! I think my favorite part of the publishing process was seeing the video trailer. It was nice to see how you put together appropriate visuals to create interest in my book. My Publication Specialist was great! She always answered my questions promptly, and helped make my first publishing experience enjoyable. I would definitely recommend CFP to other authors. I hope to write a sequel to my book and would definitely be coming back to CFP for publication. "A Firefly in The Summer"
It was my first publishing experience, and I needed a company that would teach me about the process and let me learn more about it to gain the experience that other publishers look for. And CFP more than delivered on those aspects. They involved me in the whole process and made it an enjoyable experience. I didn’t give up creative control, nor was I expected to. It was a collaborative effort, and I appreciate that. By far, I enjoyed the cover design. All of it was great, but the cover really brought the book together for me. My publication specialist was incredible. She not only listened to my input and provided guidance, but was essential in me learning how this process worked. She helped me learn what worked and what didn't and showed me why things were a certain way. CFP was everything I could have hoped for in a publishing company, especially for an author new to the process such as I was when I started. I absolutely would recommend them to other authors looking for a good publisher because CFP was pleasant, beyond helpful, and overall a good experience. "Memories War Stories and STANS"
When selecting a publisher, I went with a publisher most representing my values. CFP delivered on these values. CFP delivered what they said they would do, and provided information about the process along the way. The book trailer was excellent and professionally done, as was all editing. The publication specialist was excellent and provide very good and knowledgeable advice and guidance along the way.